Dangerous Tendency in the Off-road World - I want a Jeep! The times they are a-changing… That’s what I am saying to myself watching the new crossover breed replacing the trusted off-road veterans. Or, may be, the crossover tribe is not so new after all, and by now has claimed its right to the large portion of the offroad market. This is particularly true of Canada, but of other countries, where the the high fuel prices forced the owners to exchange their SUVs for smaller crossovers. The latest category become incredibly popular among both men and women, ranging in size of the vehicles from tiny first generation Toyota RAV4 and Honda CRV to much larger behemoths like Audy Q7 or Ford Escape. While all of this is taking place, car manufacturers are shifting the priorities towards comfort and appearance, sacrificing traditional off-road qualities. This brings us to a certain crisis of the off-road genre, where only a few vehicles like Land Rover Defender or Jeep Wrangler still put off-road capability over comfort and handling. One could still argue that many of the pickups are 4X4, but let’s face it, the longer wheel base and often times a transfer case without a law range will hardly satisfy serious off-roaders. More so, quite a few vehicles that had made a name for themselves as serious conquerors of uneven terrain have obviously decided to jump on the bandwagon. Take Ford Explorer for example. The first two generations derived from Ford Ranger pick up base did pretty well off-road, while the third Explorer came in 2002 without locking differentials, with electronically controlled transfer case and with a questionable ground clearance of 19 cm, making it usable only for soft-roading. While the fourth generation Explorer wasn’t that much different from the third, fifth generation Ford Explorer which debuted in 2010 was a true crossover with its monocoque body and a number of electronic terrain management systems that proved to be unusable even on the most modest off-road. Not to mention the latest Jeep Grand Cherokee, even though the previous Grands weren’t built on a frame, but still provided fantastic off-roading capabilities. 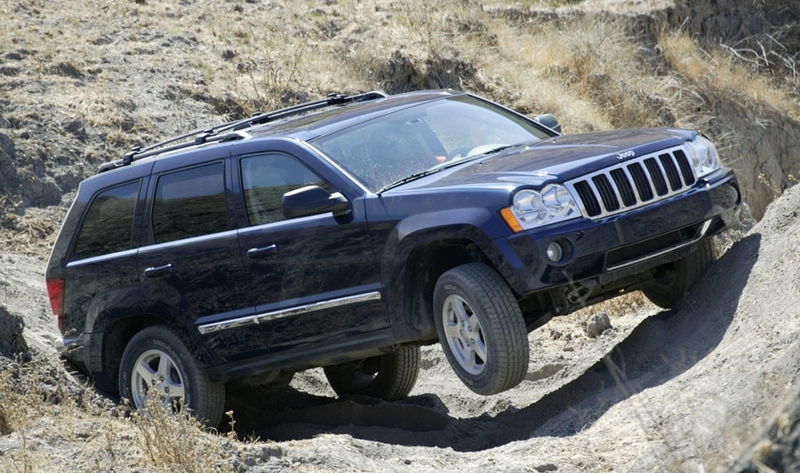 Well, take a look now at the Grand Cherokee SRT-8, on which all the off-roading gear was removed. And what about BMW X5 and X3 or Mercedes ML – ever tried taking one of those things mudding? 101% percent this is the reason why people have to add extra offroad kits or in simple words suspension lift kits into their vehicles, today vehicles are not par to true offroad experience.